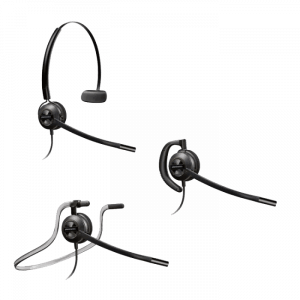 Vertical Edge Compatible Headsets - Headsets Direct, Inc. Looking for the best Vertical Edge Compatible Telephone Headsets? 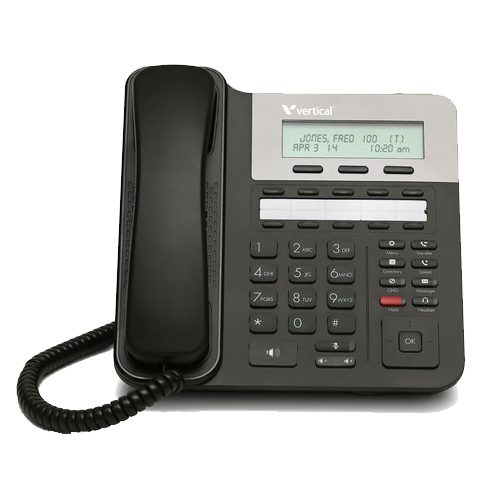 Vertical offers a wide range of business phone solutions, including; IP phones, digital phones, and wireless DECT phones. Vertical acquired Comdial in 2005, which had been a popular phone system for businesses for many years, further expanding their reach and customer base into the business world. 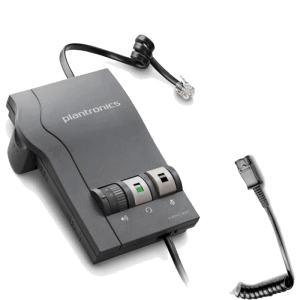 With numerous headset configurations available, we wanted to simplify the process, allowing you to quickly select the most common Vertical Edge compatible telephone headsets that most other companies are already using. When considering a corded headset for your Vertical Edge phone, you will typically need two pieces of equipment. First is any of the Plantronics H-series headsets, and second is an amplifier. The amplifier will plug into the phone’s RJ-9 head port, located on the bottom of the phone, and will provide speaker volume, microphone volume, and mute button. The headset and amplifier connect together at what’s known in the industry as the Quick Disconnect. This is a unique connection that is made to disconnect and reconnect seamlessly without ever breaking. During a call you can pull the two cords apart, which puts your caller on hold through the headset, as you walk away from your area. Upon returning, you simply reconnect and continue your call. For a wireless solution, you again will need two pieces of equipment. First is the wireless headset. Any CS500 series wireless headset will give you great sound quality, battery life to get through the busiest of days, and all-day wearing comfort. 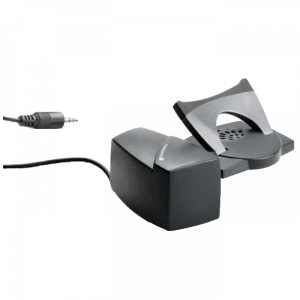 The headset base/charger has speaker and microphone adjustments, ensuring you hear and will be heard perfectly, never needing to repeat information. A convenient mute button is also located on the headset when you need to converse with coworkers. The second piece of equipment is a lifter. With this, you have the ability to answer and hang up calls remotely. This means you won’t miss calls to voicemail with call alerts, and you can take calls when away from your desk. Having a lifter also automates how you take calls by simply pressing a button on the headset. When it comes to wireless solutions, Vertical Edge compatible telephone headsets provide 7-13 hours of talk time, allow up to 350 feet of range, and come in a variety of wearing options, allowing you to find the perfect headset to meet your personal wearing preferences and environmental needs. 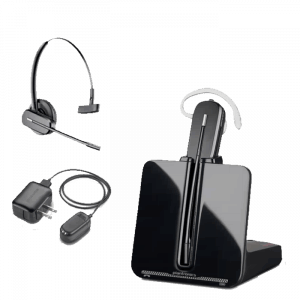 If you need to discuss your options for the best Vertical Edge compatible telephone headsets, contact us, and a headset expert will be happy to go over your choices, further explain how they work, and tell you what to expect. We always recommend reaching out to us to confirm compatibility, because new models of phones are constantly hitting the market.